Avast, ye slavering sea-dogs. Prepare to be cast ASEA. In case ye didn’t be knowin’ already, September 19th be International Talk Like a Pirate Day. And so, for all of my fine cruciverbilizin’ cronies, I be casting out a crossword challenge. Hoist the JIB, watch out for the stray ERNE, and join me in a piratical themed puzzle. I’ll not be having no lily-livered land-lubbers be squalling for mercy, however — this ain’t no sissy classroom puzzle. 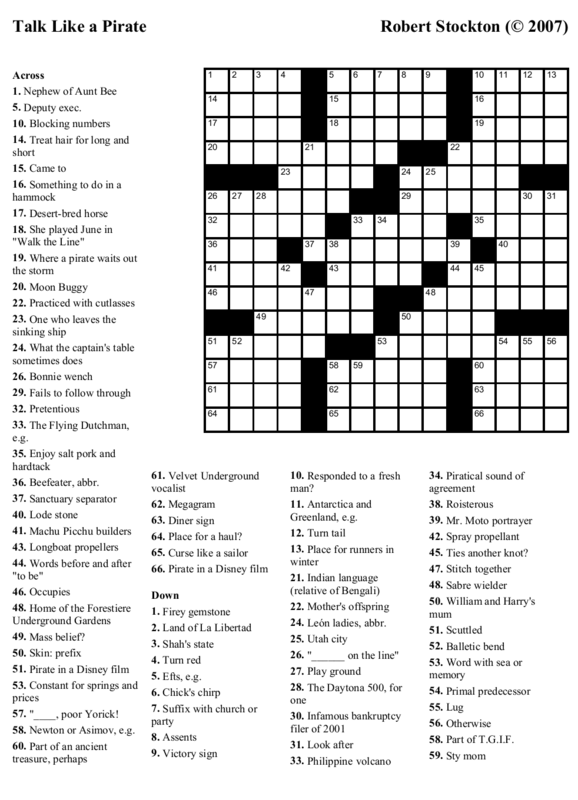 This is a full-fledged Times-style crossword puzzle such as Peter PAN might have suffered at the hands of the dreaded CAP’N Henry Hook. Stock up on grog, sharpen your sword, and heave to, for there will be no quarter given today, me lads. 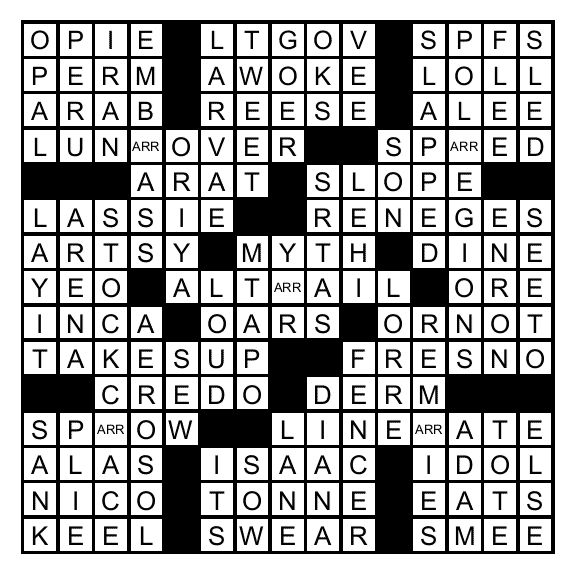 You may find the puzzle in Across Lite format (ye’d best be using version 2.0, if’n ye don’t already have it), or ye can download both the puzzle and the solution in printable PNG format. This entry was posted on Tuesday, September 18th, 2007 at 11:24 pm	and is filed under Uncategorized. You can follow any responses to this entry through the RSS 2.0 feed. Both comments and pings are currently closed. Man, it’s quite challenging puzzle. What a nice post. Thanks!